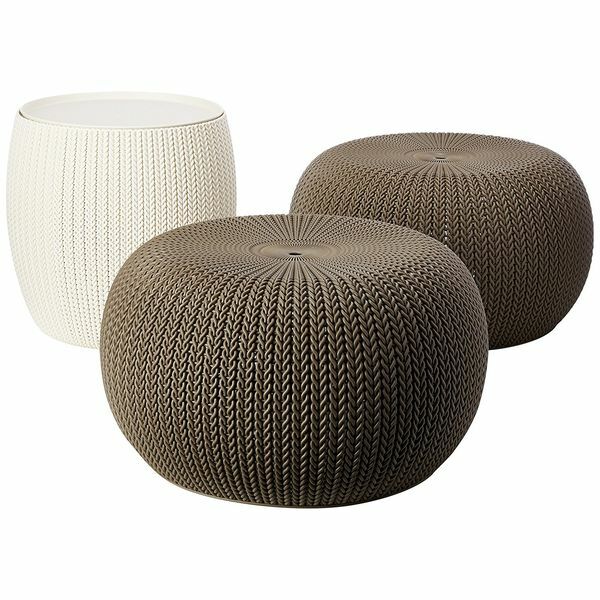 Modernize your space while still making it comfortable and inviting with this Urban Knit Pouf Set, Brown/Taupe. The set comes with two-rounded, all-weather poufs in a taupe color as well as a white-colored end table complete with the same textures. They are lightweight and easy to move around any indoor or outdoor living space. Give your home a bright burst of color with the simple inclusion of this Majestic Home Goods Yellow Links Cube. 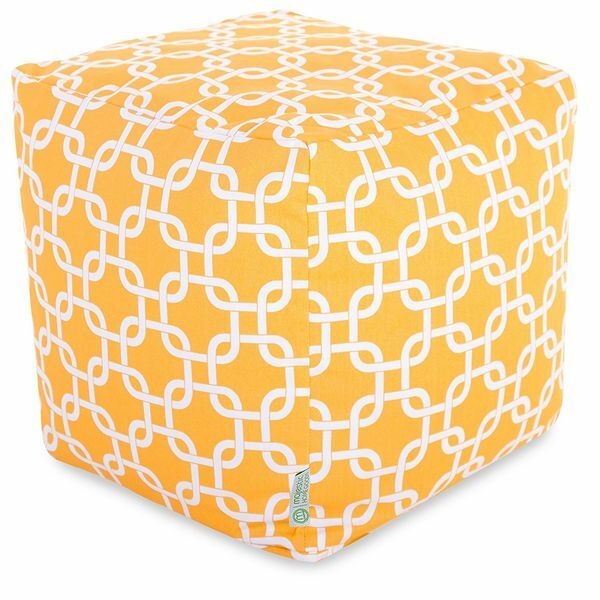 The cube ottoman features a yellow backdrop with white square links running across it in an attractive pattern. The piece measures 17 inches by 17 inches by 17 inches in size. Extend your comfort and style to your outdoor living space with this Modway Convene Wicker Rattan Outdoor Patio Square Ottoman. The ottoman features a thick, padded all-weather cushion that sits atop an attractive wicker rattan base and chunky metal legs. The piece measures 35.5 inches by 35.5 inches in size. Outdoor ottomans do not get cooler than this! This natural Cedar Log Ottoman by Lakeland Mills Furniture is really unique looking. 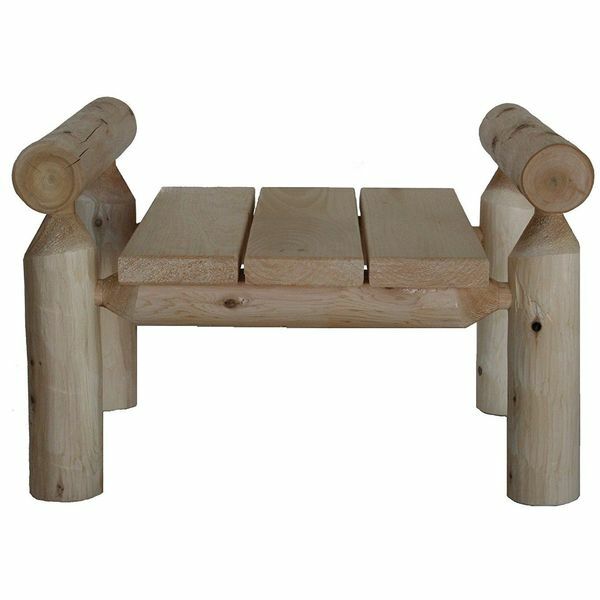 It has been constructed using the finest insect and water resistant white cedar wood. The resources used to make this ottoman come from a renewable source that does not harm the environment. The Cedar Log Ottoman has been crafted right here in the USA. Some assembly is required, however. This is the kind of ottoman that you can keep in your back yard or on your front porch for generations. It will age with your family. Get it now! The Siena Shorea Ottoman from Oxford Garden Furniture reminds us of hot summers during our youth. 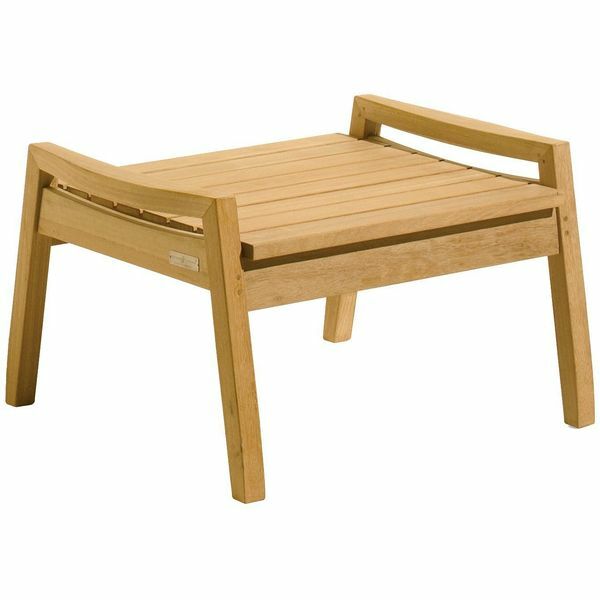 This outdoor ottoman has been designed to be used with the Oxford Garden Sienna reclining chair, but is versatile enough to fit in with any outdoor furniture arrangement. It is constructed of shorea wood with mortise and tenon. Feel free to maintain this product with teak oil in order to hold on to the beautiful tone of the wood. 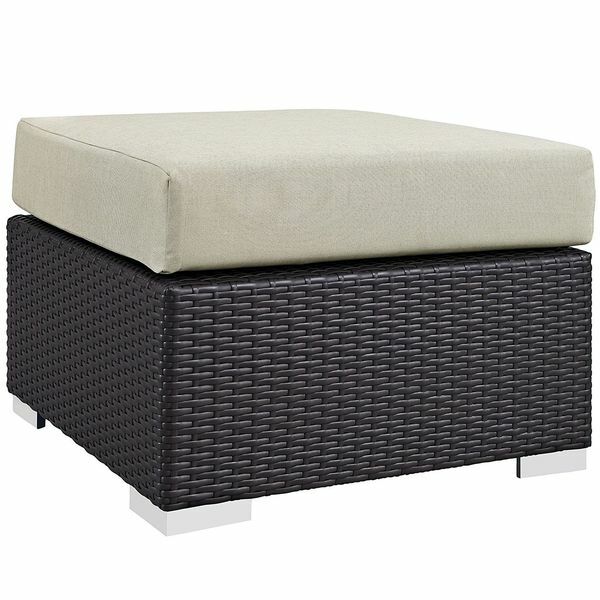 This is a low profile outdoor ottoman that can be used as a footrest or an extra chair when seating becomes scarce. 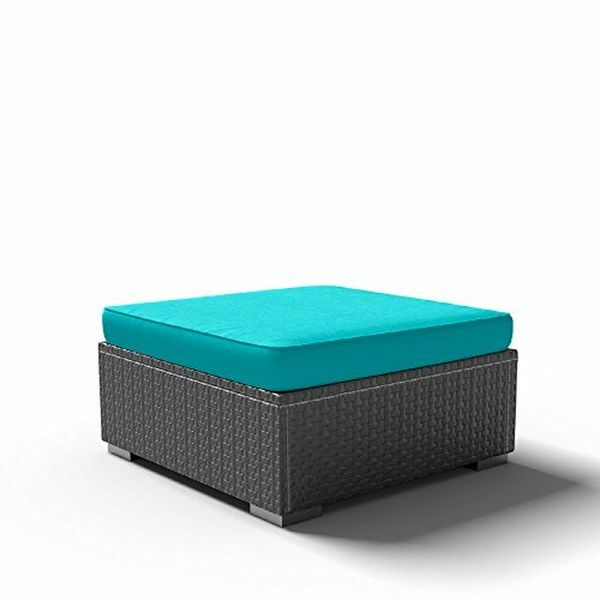 A gorgeous, vibrant turquoise cushion breathes new life into your outdoor space when you include this Modenzi F Ottoman Chair Outdoor Patio Furniture. This ottoman features a thick, all-weather cushion resting on an espresso brown wicker base. Its design is lightweight and easy to move around on the patio.